From automating lighting to heating, appliances to air conditioning, TVs, computers, entertainment audio, video systems and security — the possibilities for smart homes are seemingly endless. A smart home provides the ability to wake up in the morning and with a simple ‘good morning’ command, have your blinds open, the lights gradually turn on, the TV switch to the news, Fleetwood Mac blast from your speakers and receive live updates on the weather and your commute. Smart homes have come a long way from being ‘dad’s toy’ and there’s plenty more to come. As early as 1982, the concept of a network of connected smart devices was floated, and by 1999 this was represented by the term ‘internet of things’. Now, this concept is a reality that’s integrated into all aspects of modern life in a more functional way than could ever have been predicted. While we may not have Marty McFly’s hoverboard, smart homes represent a sci-fi-esque future made possible. As well as integration in existing homes, smart home automation systems are becoming a staple for new and off-the-plan luxury residences. Gone are the days where a pile of remotes sit on the corner of the sofa and entire work days are spent worrying about whether or not you turned the air conditioning off before you left home. Smart homes can provide safety, security, comfort, convenience and energy efficiency at all times, regardless of whether or not anyone is home. Some tech automation have been the go-to guys for celebrity smart homes for as long as smart homes have existed. While originally only utilised by the mega-rich in their multi-million dollar LA mansions, smart home automation is now making its way through the residential sector at a phenomenal pace. These systems are no longer out of reach for middle-income earners, causing a transition from ‘showy’ smart homes, to customised systems that offer a whole spectrum of automation options. Some installations involve simple lighting and audio, while others integrate under-floor heating, full security systems and voice control. We want to find out what’s possible for smart homes in 2019 and in the future. Creating a custom lighting set-up throughout an entire home is simple when you go down the route of automation, especially if this is integrated into the property from the initial design and building process, as opposed to retrospective installation. As functional and as impressive as lighting automation is, many residents are chasing a voice-controlled smart home. “In ten years from now, I think every home on the planet will have some kind of automation unless you’re living in a tent,” says Trevor. In the shorter term — the next three to five years — is when the awareness will develop and smart homes will no longer be a novelty. Whether it’s biometric entry into your house with a thumbprint, facial recognition cameras to play your favourite song when you walk in the room and AI integration to make these smart systems even smarter, the potential is boundless. Today, nearly every organisation is trying to reduce its energy costs. A lighting control system helps you maximise energy efficiency, and enhance comfort and productivity. Lighting needs to be flexible − it needs to react to what’s happening in the building. When there’s no one around it might not be needed at all – and you can’t always rely on people switching the lights off. Spaces are flexible too. For example, you might have a conference room that doubles as a ballroom, or a large office with frequent layout changes – With our lighting control system, you can have pre-set lighting configuration. Because it helps you be more environmentally friendly, it’s easier to comply with energy legislation and building regulations – such as BREEAM and LEED − and to be a green citizen. 19% of a building’s energy use is lighting – lighting controls can help you cut that by up to 70%. Room sensors are a worthwhile investment − they can yield a payback in less than one year. Any question welocme to contact our sales representative Eason Cai. Thanks. Smart switches or smart bulbs: What’s the best way to use these connected devices in the smart home of your dreams? While we wish a smart device could install itself, that’s not the case. (At least right now.) In fact, many homeowners find they have to become experts, and quickly, in how their homes are wired when trying to install devices like smart switches and smart bulbs. Here’s a short, but thorough, outline on how electricity runs through your walls, what smart devices need for their own power, and how to make the two work together. One of the biggest challenges consumers face when building a new smart home is understanding the wiring behind their walls. For instance, did you know that you need a C-Wire to turn your thermostat into a smart thermostat? Well, you do and most consumers don’t realize this little detail until after they’ve purchased a smart thermostat and start installing the device. The same is true for installing smart switches and outlets. According to CMoo Systems, 90 percent of the homes worldwide (and 50% in US and CA) are not capable of powering today’s smart home devices at the light switch location unless the homeowner re-wires their house. That’s key. So GearBrain decided to outline why this is, and come up with options so you can get smart switches up and running. Traditional wall light switches.How does the wiring work? In terms of wiring, all homes use AC power (Alternate Current). In the US and Canada, this is known as a single phase 110V/240V system. The AC voltage has two wires, a hot and neutral (There’s often a ground wire, as well, in new homes.). A hot wire, usually black, carries the current from your electrical cabinet to the load (i.e. light bulb). The neutral wire, usually white, carries the current from the load back to your electrical panel. The electrical panel, which is usually located in a closet in the basement or garage, houses all the power in the house. This is how the flow of power works behind your walls. However, as simple as this might be, the flow of power for smart devices or switches gets very complicated. Standard switches and outlets have only two wires as we described above, a live and neutral. When the switch is on, the current flows from the electrical panel to the live wire to the load and back to the electrical panel via the neutral wire. When you turn the switch off, the current is interrupted by cutting the flow of electricity from the live wire and the load or light bulb turns off. This is called “open” wires. This is very simple, right? Add and additional wire or wires to your existing wiring in your home. 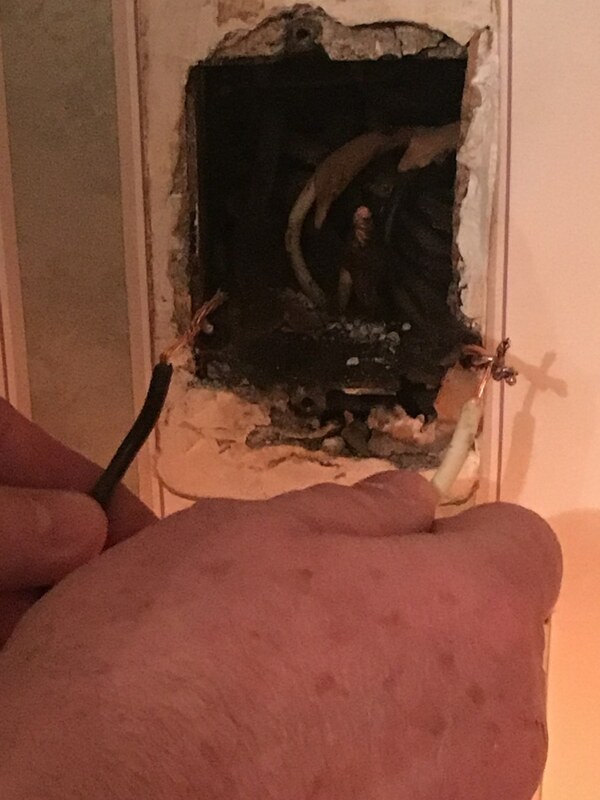 You can call an electrician and have them pull new wires behind your walls for every switch, outlet or thermostat. This can be a very costly and messy solution. If doing home improvements and your walls are exposed, this would be the time to re-wire your rooms. It would also be less expensive sine your electrician would have an easier time connecting the wires. Install new switches that work without a neutral wire. These switches work by stealing current to get the devices to work properly. This option does have limitations and drawbacks. For instance, you need to have specific type of LED bulbs for this option to work. If you don’t, your lights will glow even if the smart switch is off. You need to have a minimum of 25 watts of power for these devices to work properly. Make sure you know which LED bulbs you need and how much they cost before buying these smart switches. You can also add a “bypass” device near your LED bulb. This can help stop the flickering but you might need an electrician to install it. Another added cost. Insteon Smart Switch works with existing wiring. These smart bulbs give you control at the bulb. Phillips Hue, GE and Lifx are manufacturers of smart LED bulbs which can be controlled by a smartphone or through a connected hub. You can even control them using your voice if you own a digital assistant like Amazon Echo or Google Home. This option does not require any re-wiring of your switches. However, you need to keep in mind you need to always have your light switch turned “on”. And, if your smartphone dies, you will have problems controlling the light from your switch in some cases. Lastly, this option can get very expensive. If you have a lot of lights in a room or a chandelier and want to install smart bulbs, it can cost you a lot of money. The range in cost for smart LED bulbs is as low as $15 per bulb to as high as $80 per bulb. The average cost for a standard LED bulb is $6 per bulb. Buy a smart LED with a battery powered switch. It offer a battery powered light switch which is also a dimmer. This type of switch acts just like a remote control for your lights. Just secure it on our wall and use either the switch or your smartphone to control your lights. But make sure you keep track of the battery power in the switch. This can be done through the light switch’s app. Though this is a convenient option with easy installation, it does have its drawbacks. For example, you can only control one device with the remote. Example of battery powered light switch by SwitchmateWhile some solutions vary in difficult, some can be short term options to get you, at the least, started. One company, CMoo Systems, promotes smart lighting architecture that does not ‘close’ the current loop via the load/bulb and is agnostic to the load size/type. CMoo’s solution’s has no ‘minimum load’ and even 1 watt LED will work perfect without flashing / glowing effects as it happens with all other smart light switch products supporting 2 wires / no Neutral. Major switch manufacturers use its technology, which is expected to hit the market soon for consumers and works with existing wiring — and without extra installation costs. While this will be great, home owners still need to decide how to best run their connected devices. Do you want a switch or outlet to control the room’s devices or have a smart plug handle it? Do you want a central hub to control your entire house and its devices like smart blinds? Is it cheaper to replace switches/outlets than buy LED smart light bulbs for every room? Once you make these decisions — and know whether you need to re-wire the house or not — you’ll be able to determine the best path, for you, to a new connected life. Building a smart home today has its challenges, with many moving parts. When deciding if a smart switch is better for you than smart light bulbs, understanding the wiring in your walls is just the first step. You need to figure out if your wiring can power smart connected devices or if you need to hire an electrician for additional wires. And — is the price of an electrician to update wiring a cost efficient option? You’ll also want to consider what level of control you want to have in the home, and if you want to control devices from the switch, sensor, or a smartphone? Finally, there’s the question of the cost: How many bulbs do I need to replace and is that cheaper than changing wall switches? Answering these questions gets you closer to the true benefits new connected devices offer today whether that’s smart switches, smart lights or anything else you choose to install in your home. Good luck. Arduino, as an open-source electronic platform for fast prototyping, helps electrical engineers prototype/design their projects, with the intention that they will turn into commercial products down the road. In 2005, Massimo Banzi needed a teaching tool to introduce students to electronics and the result was Arduino. It’s also a great tool for students or individuals who don’t have an electrical engineering background—they can learn about microcontrollers and programming when using Arduino’s kits and the Arduino library. Currently, Arduino’s focus is directed more toward Internet of Things (IoT) communications. 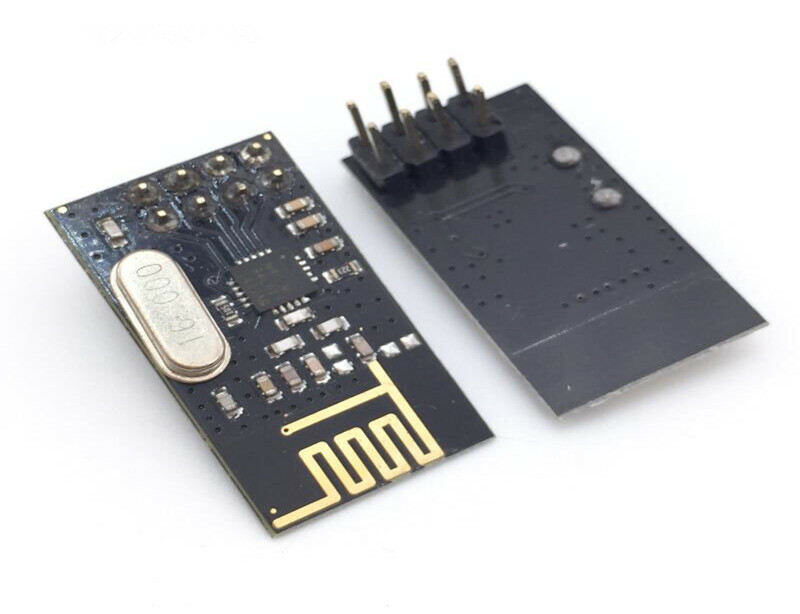 OKY3361 is an NRF24L01+ 2.4GHz Antenna Wireless Transceiver Module. More detail welcome to contact with our sale team. Arduino heeft twee nieuwe ontwikkelkits voor IoT-toepassingen gelanceerd. Een ervan maakt voor het eerst gebruik van een FPGA-chip voor extra flexibiliteit. Arduino wil met beide kits zijn portfolio verder uitbreiden om de zogenaamde ‘Maker’-groep te kunnen bedienen. Arduino heeft twee nieuwe ontwikkelkits beschikbaar gesteld voor IoT-toepassingen: Vidor 4000 en Uno Wifi Rev2. Vooral de Vidor 4000 is een heel interessante kit omdat het gebruik maakt van een FPGA-chip van Intel. Het is de allereerste keer dat Arduino de chip integreert in één van zijn kitjes. Het voordeel van FPGA is dat de chip helemaal zelf kan worden geprogrammeerd zodat er het maximale uit kan worden gehaald. Microsoft gebruikt FPGA-chips in Azure voor AI-toepassingen, maar de chip kan nog veel meer. Arduino wil nu in de DIY-community aftasten wat iedereen met deze chip zal doen en noemt het zelf de interessantste toevoeging in jaren aan zijn line-up. Verder is er de Uno WiFi Rev2-kit, een IoT-bordje met een verbeterde AVR-microcontroller van Microchip. Belangrijkste vernieuwing is de verbeterde centrale processor met meer computerkracht en geheugen om IoT-applicaties te draaien. Beide kitjes zijn nog niet beschikbaar, maar je kan je online registreren om een melding te krijgen wanneer ze leverbaar zijn. Arduino wil met beide kitjes mee genieten van de IoT-boom in technologieland. Het laat aan IoT Institute weten dat de nieuwe ontwikkelkits niet de huidige industriële apparatuur vervangt. Arduino ziet het eerder als een toevoeging voor een bestaand systeem waar ze meer willen doen met de data dan nu mogelijk is. Die data willen ze begrijpen, analyseren en wanneer er fouten zijn willen ze daarop kunnen reageren. Dat is de toepassing waarop Arduino mikt met de nieuwe kitjes. LaunchPad is a low-cost, low-power-consumption microcontroller from Texas Instruments, the manufacturer of BeagleBone. The Value Line LaunchPadis available for $4.30 in a kit that comes with a second chip. The MSP430 chip also offers a power-saving mode that awakens almost instantly, which may be perfect for remote sensors. At a fraction of the price of Arduino, LaunchPad looks like a good alternative, at least for relatively simple projects. However, it packs 512 bytes of RAM compared with Arduino Uno’s 2 kB, so Arduino might still win out for more complicated work. 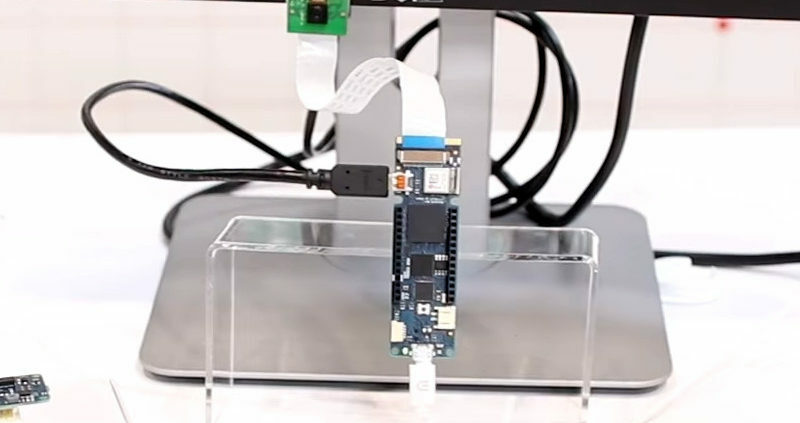 Nanode is designed to work like an Arduino, but is made specifically for Internet-connected projects. 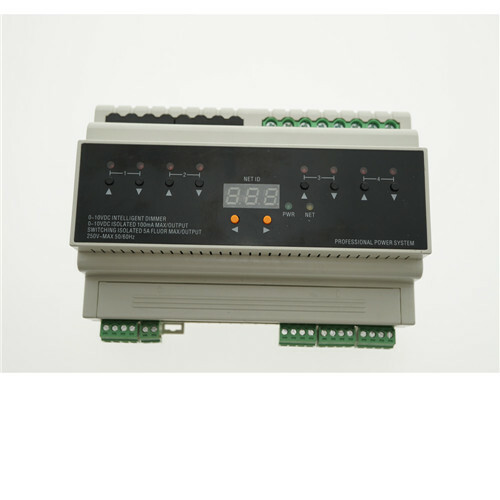 It features the same ATmega328 processor that the Arduino Uno uses, and you can program it with the Arduino IDE. Nanode uses the open-data API Cosm to connect to the Web for tasks including sending data to the cloud, following online feeds, or acting as the server for a small, simple website. 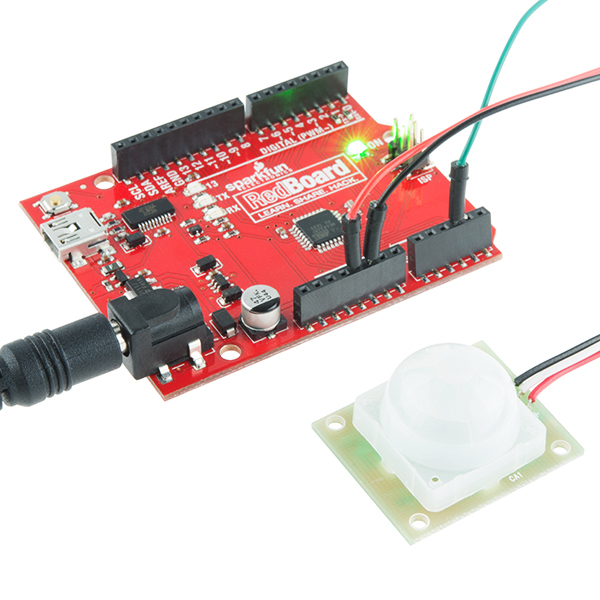 It makes a good development tool for Web-connected sensors, monitors, or controls. The Nanode RF sells for $56.57, a higher price than Arduino. 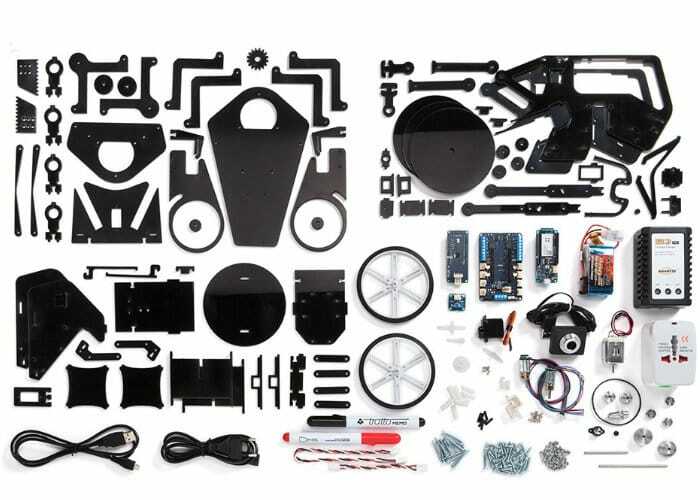 And some assembly is required, so get your soldering iron ready. This is a solid prototyping tool originally designed for art students. The Pinguino is the same size and shape as the Arduino Uno, and like Arduino, Pinguino has open-source hardware to run an open-source IDE. Despite the similarities, though, Arduino and the Arduino forums do not provide support for Pinguino, and the company advises buyers that Pinguino may not work with Arduino libraries or sketches. Pinguino sells for $25.99, but the company recommends that buyers ensure they are experienced and comfortable with the technology first—Pinguino is not a microcontroller for beginners. STM32 Discovery from STMicroelectronics is another low-cost alternative; it sells for about $9.88. 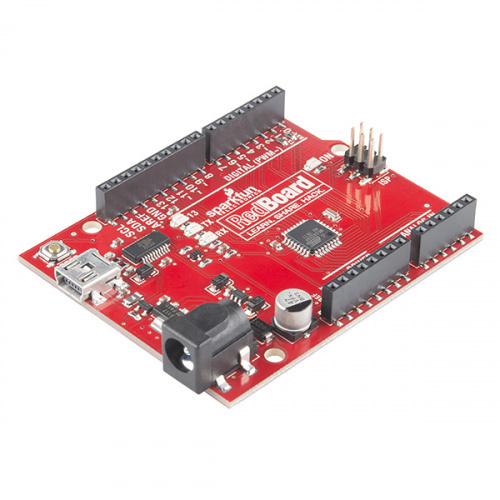 This one packs a bit more power than the other budget microcontroller on our list, however; Discovery features a 32-bit ARM Cortex M3 core running at 24 MHz with 8 kB of RAM. Be prepared for a smaller user community and less documentation to help you along, however. Teensy 2.0 and its counterpart, Teensy++ 2.0, run Arduino software and can support Arduino libraries and sketches, making them a good fit for experienced users who are making a transition from Arduino. Speaking of fit, the Teensy microcontrollers live up to their names; Teensy 2.0 is roughly the size of a quarter, with 25 I/O pins, and Teensy++ 2.0 is only slightly larger. This makes either Teensy a good choice for embedding into projects without a lot of space. Teensy 2.0 sells for about $20, and Teensy++ 2.0 sells for about $27.50. Both feature 16 MHz AVR processors. How early should educators be introducing children to the basics of science, technology, engineering and mathematics, and engaging them in STEM-related learning activities? An Australia-wide research project is zeroing in on preschool. The Early Learning STEM Australia (ELSA) Pilot launched in Term 1 involves more than 300 educators and 3300 children in 100 preschools. The play-based program is aligned to the Early Years Learning Framework (EYLF) and includes digital apps to support students, educators and families. The year-long pilot is being led by the University of Canberra’s Centenary Professor of Education, Tom Lowrie, and run by its STEM Education Research Centre (SERC). Lowrie, who is the Director of SERC, tells Teacher the aim of the project is to explore the extent to which the program can engage preschool students – generally aged four – in learning activities associated with STEM thinking. ‘As you know, in an early years environment, there’s not specific STEM curricula. So our take on STEM is somewhat different than the way in which it’s defined elsewhere,’ Lowrie explains, adding the focus is on practices that underpin STEM. ‘It’s theoretically based on the concept of “practice architectures”. Basically that, in any given situation, you need to be thinking about methods, values and ideas, and there has to be this interaction between [them]. There are also four apps for the students, but Lowrie says the program doesn’t rely on this method of delivery – around 80 per cent of the learning is off-app. He stresses the team is very mindful of screen time issues, and the general rule of thumb is if an activity can be done just as well in a play-based environment then it should be off-app. Giving an example of how the program aligns with engineering and the STEM method of designing and making, Lowrie explains the third app focuses on how children decode and encode information and features a range of hands-on activities, including making musical instruments and then creating instructions so others can make their designs. The fourth app is still in early production. It’s an investigation tool to engage students with logical reasoning – interpreting evidence, making informed decisions based on the evidence and having the flexibility to change tack once more evidence comes to light. ‘It’s a really good way of introducing to them some really important STEM values – that is, that you can make an informed decision based on the evidence that you have, but when you have more evidence, you have to have that flexibility of being able to change that way of thinking once the extra evidence comes,’ Lowrie says. The project is being funded under the Australian Government’s National Innovation and Science Agenda. Stay tuned: We’ll be speaking to one of the educators involved in the early years STEM pilot. Teachers and educators may be interested in a new official Arduino Engineering Kit launched this week and created to enable students and teachers to incorporate core engineering concepts such as control systems, inertial sensing, signal/imaging processing, and robotics with the support of MATLAB and Simulink programming. Check out the video below to learn more about the new Arduino Engineering Kit which is being created by the official Arduino development team. 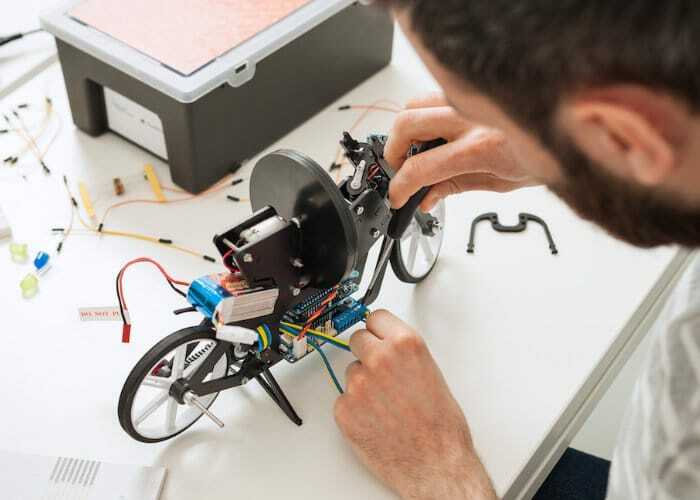 The Arduino Engineering Kit is now available to purchase directly from the official Arduino online store and contains everything you need to build three “cutting-edge”, Arduino-based projects with each one designed to teach students how to build modern electronic devices. 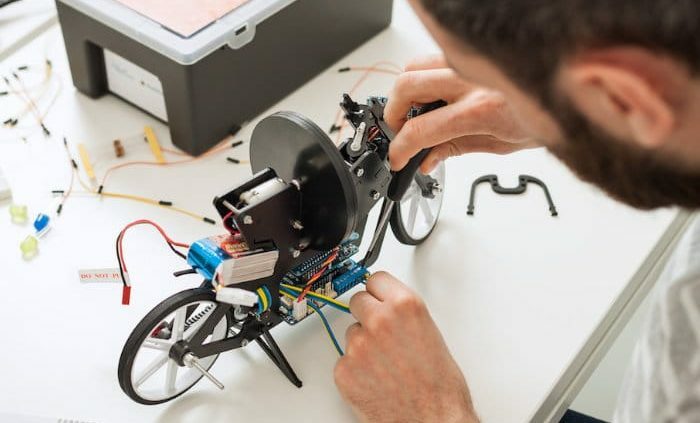 – Self-Balancing Motorcycle – This motorcycle will maneuver on its own on various terrains and remain upright using a flywheel for balance. It’s very exciting to build and to see in action. – Mobile Rover – This vehicle can navigate between given reference points, move objects with a forklift that’s controlled by computer vision, and much more. It’s very fun to make and use. – Whiteboard Drawing Robot – This amazing robot can take a drawing it’s given and duplicate it on a whiteboard. It’s most impressive. To purchase your very own Arduino Engineering Kit jump over to the official Arduino website where the kits are currently available to preorder at a reduced price of €199 offering a considerable saving of the recommended retail price of €249 which will take effect once the kit is officially launched. For more information jump over to the official Arduino online store by following the link below. The FPGA on board the Arduino Vidor is an Altera Cyclone 10CL016. This chip has 16k logic elements, and 504 kB memory block. This is on the low end of Altera’s FPGA lineup, but it’s still no slouch. In the demo video below, it’s shown decoding video and identifying QR codes in real time. That’s pretty good for what is effectively a My First FPGA™ board. Much has been made about the on-going (and seemingly far from over) Arduino v. Arduino SRL saga. On one side is Arduino, which was founded by Massimo Banzi, David Cuartielles, David Mellis, Tom Igoe and Gianluca Martino back in 2009. This is the Arduino where you have probably gone to participate in forums, download the Arduino IDE and more. On the other side of the battle is the manufacturing side of the project founded by Gianluca Martino, known as Arduino SRL. This outfit used to be called “Smart Projects” but changed their name to Arduino SRL in November 2014. From early on, they’ve been a large manufacturer of Arduino boards. Recently, they popped up under the domain Arduino.org. We could hash out the specifics of the argument, but that’s been done ad nauseam in many places. If you want to get caught up, Hackaday did a nice job summarizing the story in this article. So which side of the dispute does SparkFun Electronics stand on? Well, as with many legal disputes, it’s not cut and dry. SparkFun’s number one priority is, and always has been, our customers. Besides the very obvious fact that it’s your purchases that keep the doors open and the lights on, the truth is, many of us in this building exist in the very same stratosphere as you guys and gals. We’re DIY hobbyists, and engineers, and wearable-enthusiasts, and high-altitude balloon pilots. So, at the end of the day, we want to have the coolest, best, and most reliable products available for our customers to build the projects they (and we!) want. So with that in mind, we’re kind of stuck between a rock and a hard place. Right now, we are actively buying (and will continue buying for the time being) Arduino Uno’s from Arduino SRL. Are we siding with them? Not necessarily – but currently this is the only source we have for the Arduino Uno, a board that you, our customers, love. The alternative is to not stock this board, which isn’t much of an alternative at all. We are just as worried about where this is heading as you are. Is Arduino going to be around in a year? We believe the community will never die but we’re nervous about the hardware. Hardware is hard and spinning up contract manufacturers takes considerable effort and time. Above you’ll see the SparkFun RedBoard. We created this board in 2012 because our Inventor’s Kit, which used the Arduino Uno, was becoming more and more popular. Around that time Arduino came out with the Uno R3 revision that caused, overnight, all our documentation to become obsolete. It was decided then that we needed to be in control of our supply chain for our most popular products. So we made the RedBoard, which takes some of our favorite features from various Arduino boards (like the Optiboot bootloader and the stability of the FTDI from the old Duemilanove). Needless to say we are thankful the SIK and the RedBoard are shielded from the current Arduino events. Since its inception we’ve offered to pay royalties on the RedBoard. We’ve been building and will continue to build hundreds of thousands of the official Arduino Pro, Pro Mini, Fio, and LilyPad. The royalties will continue to go to Arduino.cc, the folks we license the US trademark from. 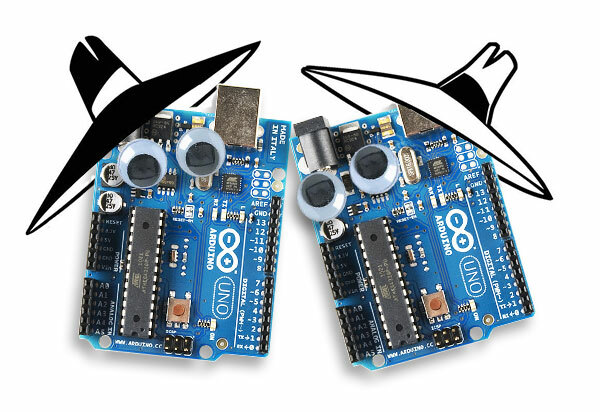 Recently we’ve offered to license and manufacture the other official Arduino boards: Zero, Uno, Mega, Due. We are here to support the community as much as possible. We don’t want mom and dad to fight – it’s bad for the community but it happens. We will continue to buy the boards we don’t internally produce from whatever source necessary so that our customers can get what they need and, ultimately, vote with their dollars. So that’s it. Is that a non-stance, stance? Sort of. But, ultimately, our “side” isn’t with Arduino or Arduino SRL – it’s with our customers. We will continue to do our best to bring you the products you want and need to make your electronics projects possible.